Home › Personal › Why oh why? 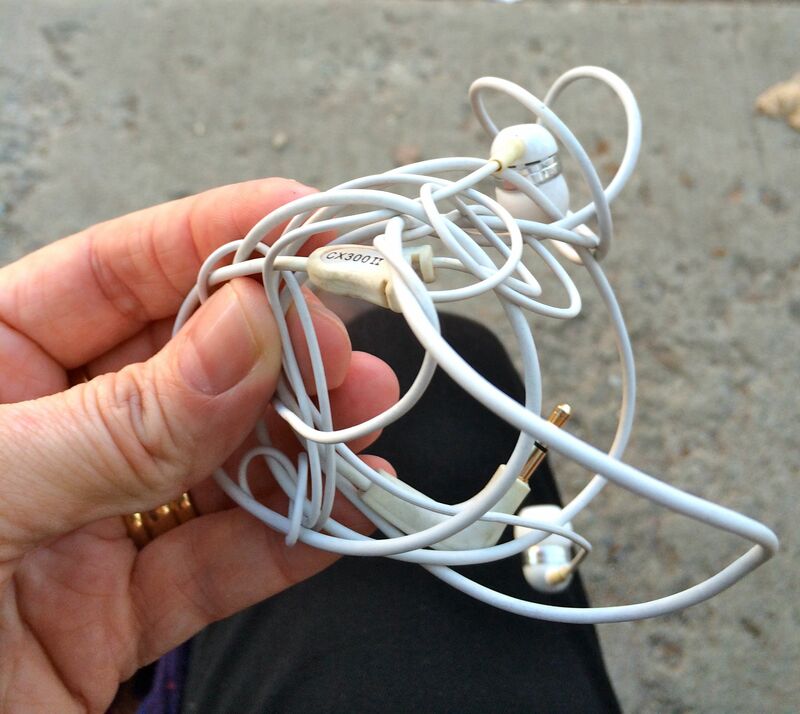 I am sure there is a scientific explanation for it but you put these babies down and they go from being totally unknotted to totally knotted in seconds. I guess I should just be grateful it does not happen to my hair! I do have a pair of Jay’s earphones that are flat, so they don’t tangle – but the buds themselves don’t fit into my ears properly so they are always falling out. What’s the make of yours, Janet? I have terrible trouble with getting ear phones to stay in and I’ve tried loads over the years. If yours work for you then they might work for me!! I use Sony MDR EX650AP – Black/Gold. These Sony ones (and other Sony models with the same shape earplugs) are the only ones that fit in my ears without falling out. I hate the fact that you cannot try earphones before you buy them and that if you open the packaging and they don’t fit, you cannot take them back. I must have very strange ears! You and me both! Perhaps strange ears are far more common than we thought. I must have spent a small fortune over the years in trying to find something neat that stays in. I don’t like the idea of “on ear” phones. To me that makes everything too bulky and I’m all for small. Thanks Janet. At least if these ones don’t work I can blame someone other than myself haha. I will never understand why this happens either! 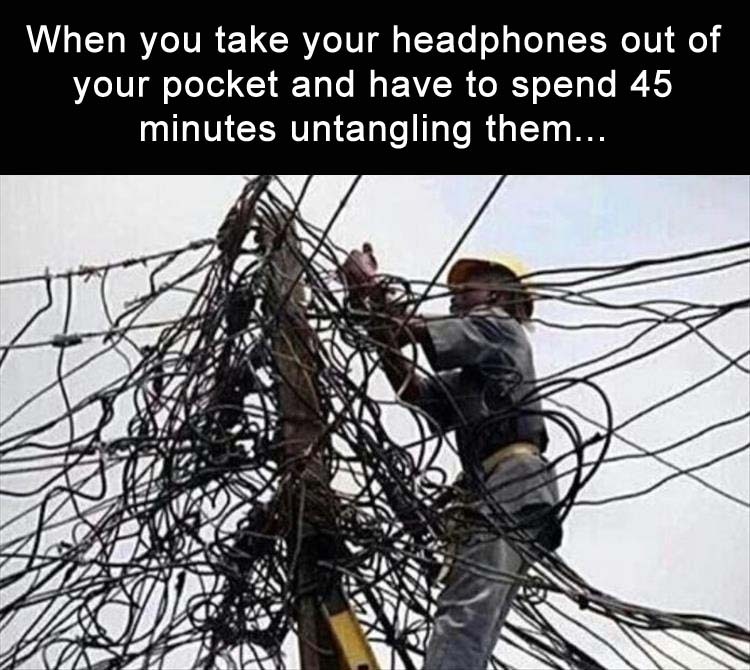 I seem to be spending half of my commuting life untangling my earphones! ha ha yes of course!